You’re making too big a fuss about the matter. There is probably a ton of Russian iron coming through French space every day without my permission. 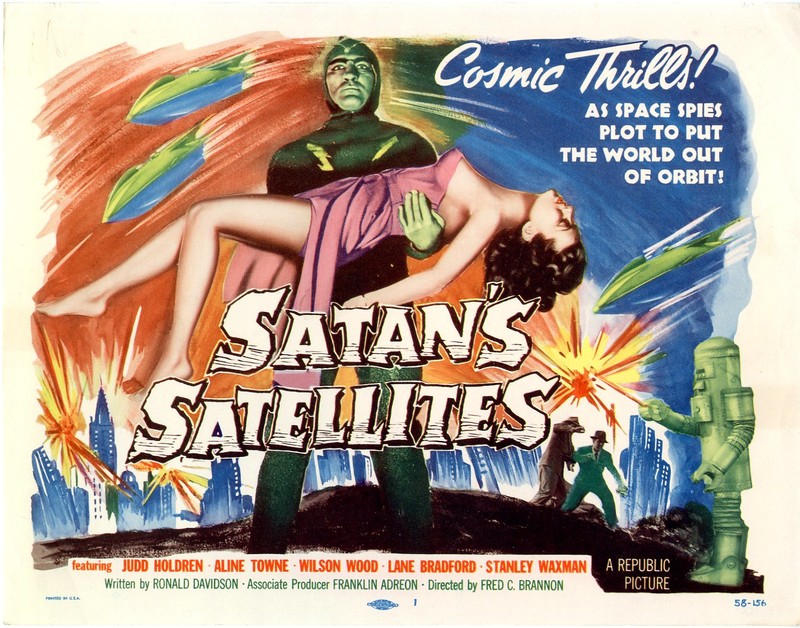 I have no idea what is in those satellites and you have not told me. But I am not making a big fuss. Khrushchev retorted, “I am only concerned with that which is over the Soviet Union with a man in it…[what] doesn’t have men in it doesn’t bother me.” Eisenhower jotted “most interesting” in notes on the conversation, likely considering implications for American photo-reconnaissance satellites. While Khrushchev may have theatrically enlarged objections to the U-2 incident for political gain, international norms of airspace sovereignty were already well-established 16 years prior when 52 states signed the the 1944 Convention on International Civil Aviation, also known as the Chicago Convention (While the Soviet Union did not formally sign on to the convention until 1970, this was due to political reasons. From the beginning they took the norm of airspace sovereignty very seriously and complained frequently about nations that overflew their territory). 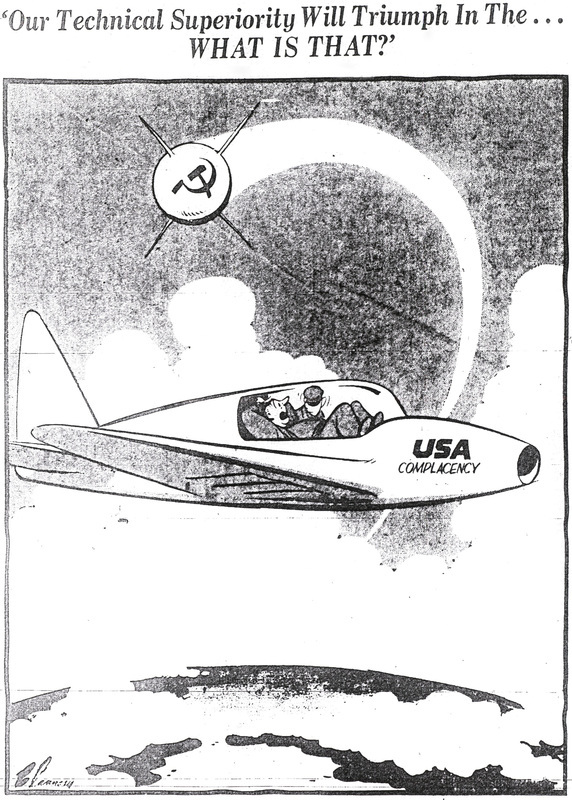 The convention’s first article proclaims, “every State has complete and exclusive sovereignty over the air-space above its territory.” There was no question about Soviet attitudes toward airspace sovereignty. The Luftwaffe’s devastating June 1941 attack on the Soviet Air Force remained a seminal experience for Soviet leadership. They knew what large numbers of foreign aircraft (benefiting from pre-invasion aerial reconnaissance of their targets) could do to one’s national security. Yet, by 1962 the United States and the Soviet Union each possessed photo-reconnaissance satellites, both knew it, and neither significantly protested the other’s use of such platforms. The 1967 Outer Space Treaty stated: “Outer space, including the moon and other celestial bodies, is not subject to national appropriation by claim of sovereignty.” How and why did international norms restricting aerial reconnaissance overflights stop short of applying to satellite reconnaissance? Martha Finnemore and Kathryn Sikkink define international norms as standards of acceptable behavior — recognized by treaty or established by shared practice and custom — governing interactions between states and other actors. Further, they outline a norm “life cycle.” First, norms emerge from the persuasive efforts of “norm entrepreneurs” who promote ideas of acceptable behavior. If enough parties agree, a “norm cascade” begins, prompting bandwagoning adherence to the norm by other states. Finally, norms become internalized and taken for granted by state actors. The advent of satellites challenged existing norms pertaining to “vertical sovereignty,” the right of sovereigns to control their own airspace. As Dean Reinhart has addressed, the international debate over the boundaries of vertical sovereignty began a full half-century before the satellite age. One might expect vertical sovereignty norms would simply expand by treating airspace and outer space similarly, or by increasing the maximum altitude to which sovereignty extends (in the same way historical taboos against poisons grew to include norms against modern chemical agents). This is not, however, what ultimately happened. In an age where global imagery coverage is a daily reality, it can be difficult to understand the outrage surrounding the May 1960 U-2 shoot-down. The sites U-2 pilots risked their lives to photograph can now be seen freely by anyone with an Internet connection. 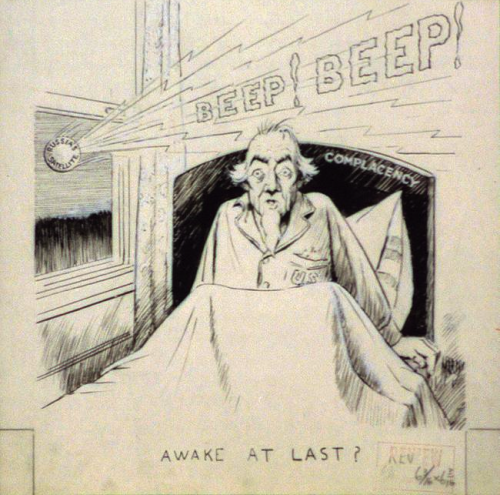 Yet while cyber intrusions and bulk data collection serve as today’s primary intelligence-collection bugaboos, overhead reconnaissance went through periods of equal (or greater) opprobrium. While photo-reconnaissance was first widely used during World War I, substantial clandestine peacetime photo-reconnaissance was first carried out in the 1930s. Britain’s Sidney Cotton and Germany’s Theodor Rowehl collected clandestine aerial photography over foreign territory in the interwar period, both under the guise of civil business flights and simply by flying at extremely high altitudes in the pre-radar era. Sovereignty taboos were irrelevant over hostile territory once World War II began. Violation of enemy airspace was a daily occurrence, and there were no meaningful policy constraints on Allied Spitfires and Mosquitos “violating” foreign airspace to photograph Nazi weapons research at Peenemünde or glider landing zones in Holland. After the war, the United States overflew the Soviet periphery for photo-reconnaissance and other intelligence collection. Unlike before the war, however, these flights could be tracked and intercepted. Multiple aircraft were lost through the 1950s. Detectable flights over the Soviet Union were known to violate norms and required presidential authorization (either directly or via delegation). Crews flew dangerous missions, deliberately violating Soviet airspace because perceived risks of not collecting outweighed risks of violating international norms via collection (not to mention the very real dangers faced by the flight crews). Desperate attempts were made to find other ways of gathering imagery intelligence over the Soviet Union, including high-altitude balloon flights (which generated protests from Moscow and embarrassment for the Eisenhower administration). U-2 photo-reconnaissance aircraft were developed to circumvent the norm. The U-2’s high altitude ceiling was expected to keep the aircraft safe from air defenses and preclude detection (and, thus, protest). Clandestine U-2 development occurred alongside Eisenhower’s July 1955 “Open Skies” proposal for overt, mutual U.S.-Soviet arms inspections via aerial reconnaissance. Khrushchev’s rejection of Open Skies as an “espionage plot” can be read both as firm adherence to airspace sovereignty norms and an understandable effort to hide Soviet strategic vulnerabilities from prying American eyes. In reaction, Eisenhower authorized U-2 overflights. If the Soviet Union would not agree to mutual inspections, the United States would get the intelligence it needed anyway. Soviet radars tracked U-2 overflights from the very beginning, but its aircraft and missiles were not yet advanced enough to reach that high into the skies. Despite Soviet protests, Eisenhower continued to approve flights (with periodic moratoriums) for their enormous intelligence value. Eisenhower hated creating a policy crisis with the Soviets, but hated operating without knowledge of their capabilities more. Powers’ flight illustrates this tension. After an April 9, 1960 flight, Eisenhower wanted to stop the flights until after the Paris Summit to avoid provoking the Soviets. Allen Dulles and Richard Bissell asked for one more flight: the planned Operation Grand Slam, which would be the first mission to transit the Soviet Union. Eisenhower approved the flight which was to be completed by 25 April. Bad weather intervened, Bissell asked for and got more time, with a cut-off of May 1. Lawyers and others grappled with defining vertical sovereignty post-Sputnik. One Soviet scholar creatively posited that, as a “heavenly body,” Sputnik did not overfly other countries. Rather, the earth and its countries rotated below Sputnik. Others made complex attempts to demarcate where airspace ended and outer space began. Some proposed a line somewhere between 15 and 18 miles as the boundary between airspace and “space.” A 1970 review by John Vosburgh, an NASA-sponsored lawyer studying outer space, identified suggested lines at anywhere from 12 miles to infinity, based on such criteria as the maximum possible altitude of aerodynamic lift or the lowest altitude achievable by a satellite orbiting Earth at least once. The first successful photo-reconnaissance satellite, CORONA, returned imagery of the Soviet Union on August 19, 1960 — without Soviet protest. In an oft-referenced moment of historical irony, the August 20, 1960 edition of The New York Times featured two seemingly unrelated front-page stories: first, Francis Gary Powers receiving a prison sentence in his Soviet espionage trial, and second, an Air Force cargo plane successfully retrieving a deorbited U.S. space capsule in mid-air. In fact, the second item detailed the retrieval of the first CORONA photographs of the Soviet Union, effectively replacing the man sentenced to 10 years in a Soviet prison for attempting the same feat in an aircraft. …[S]howing airfields or factories and even planes on [a] field, but not showing what [the] purpose of planes was or what factories produced…[It is] always possible to conceal essential information. [The] U.S. and USSR will clash if overflights over Cuba continue. You can get information you want by satellites without overflights. You have excellent information regarding our bases and we regarding yours. I would be delighted to get together with President Johnson and exchange photographs [of] his planes on runways and the types of planes. [W]hile the Soviets may share [our] goal of establishing the legitimacy of satellite reconnaissance…[they] have not yet publicly conceded the legitimacy of satellite reconnaissance…To the extent Moscow wishes to hold back recognition of legitimacy as a bargaining counter, the USSR may be inhibited from direct, public discourse on the subject. …[B]uild the information program carefully, giving emphasis to the international nature of the origins of the project, the scientific nature of the experiment, and the availability of the results to the international scientific community. By 1964, despite a lack of Soviet public statements of support, the United States considered satellite reconnaissance to be within de facto (though not de jure) international norms. A January 1964 memo from Deputy Undersecretary of State U. Alexis Johnson laid out the evidence for that view: U.S. allies were more-or-less aware of and accepting of U.S. satellite photoreconnaissance (which by then included both CORONA and the KH-7 GAMBIT-1 program). “Non-bloc” states accepted space reconnaissance “as a fact of life;” and Soviet perceptions — reflected in state media and U.N. statements — encompassed a mix of muted complaints and reluctant acceptance. Norms restricting aerial reconnaissance overflights did not stand in the way of satellite reconnaissance because Moscow and Washington believed they had more to gain more from free access to spaceflight than they stood to lose — and those parties set the norms. The United States and the Soviet Union developed satellite signals intelligence, precision-navigation-and-timing, command and control, nuclear detection, and missile warning functions. LANDSAT (1972) and SPOT imagery (1986) opened the doors to broader commercial and civil involvement in satellite reconnaissance. High-resolution commercial imagery (i.e. less than 1-meter resolution) began in 1999 and is ever-increasing in resolution and other quality parameters. Today’s “smallsat” revolution further cements “the commons of space” for intelligence-like earth imaging. The events from the development of the U-2 to the launch of Sputnik, the development of the CORONA program, and finally the Outer Space Treaty, are now part of history. However, the issues raised by the introduction of a new technology (i.e., satellites) into an environment with well-established norms (i.e., clear rules about violations of sovereign airspace by aircraft) raises points that are valid today and relevant to emerging technologies. Norms evolve quickly. Eisenhower felt strongly that while the CIA and the U.S. Air Force both played a role in the U-2 project, keeping the project under civilian control and making U-2 aircraft and pilots CIA property, would reduce the provocative “military” nature of the flights and improve chances of plausible deniability in the event of a crash or loss. It might also be a means to minimize the notion of a violation of airspace by denying the true nature of the flights. Just two years after Powers’ flight, however, President John F. Kennedy took the opposite approach when attempting to confirm the presence of Soviet missiles in Cuba: CIA U-2 aircraft and pilots were officially returned to Air Force control in October 1962 because, by then, “CIA” had become a dirty word (especially with regard to Cuba). Taboos and collection effectiveness are often in tension with one another. Though similar, U-2 and CORONA imagery were not identical in their intelligence function. Indeed, Khrushchev’s comment about satellites not seeing the purpose of planes or the output of factories reflected his belief CORONA would not uncover Soviet secrets as effectively as U-2 photos. While CORONA provided invaluable insights in a manner more consistent with international norms than the U-2, higher resolution aerial photographs were sometimes needed at critical times despite their associated taboos. Precedent and detectability/attribution vastly increase norms’ ability to restrict undesirable collection behavior. Eisenhower agonized over approving U-2 flights because they were ultimately indefensible under sovereignty norms and related law. No one doubted they violated well-established norms taken-for-granted within our own airspace. The United States knew the Soviets were tracking them. Similarly, the U.S. government avoided similar taboos for satellite reconnaissance due to the very absence of precedent and the initial inability of the Soviets to track U.S. satellites. Today the United States struggles with norms surrounding state-sponsored cyber intrusions (and, as Joseph Nye notes, the ability to deter or dissuade them) partially because there is a lack of clear international law and (often) effective tracking and attribution. Dr. John Sislin and Mr. Joseph Caddell are faculty members at the National Intelligence University in Bethesda, MD. The views expressed in this article are theirs alone and do not imply endorsement by the Department of Defense or the U.S. government.